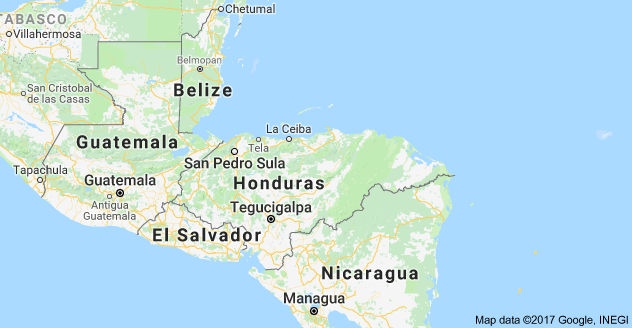 I'm raising £400 to contribute to my trip to Honduras for a 6-week research project with Operation Wallacea in the summer of 2018. This will allow me to not only gather research for my dissertation, but to also aid in current conservation research projects in the area. I'm currently in my second year studying Marine Biology and will be travelling to the project this coming summer. I have previously travelled on my own for both tourism and voluntary work but now I want to travel to further my education and career. I have always loved the ocean and everything within it and due to this I have completed my PADI Advanced Open Water qualification, progressing into the steps of making my interests develop into my career.Throughout my studies and experiences I have carried out field courses locally at my university along with a research project in Plymouth last year. Whilst in Cambodia last year I aided in the development of building a man-made coral reef in an area once rich in fish diversity but now depleted due to over fishing. These experiences, along with various modules in my course, allowed me to make further decisions about which field of research I want to pursue in the future. I am very interested in aiding conservation for both tropical reef systems along with conservation for the wide variety of marine organisms inhabiting these coral reefs. Contributing to paying for the overall trip, it costs £2997 in total so I'm coming up a little short with getting the remainder! The stretch goal is £1000, which would contribute to flights I have booked along with making the remaining sum a lot easier to achieve! However my £400 will help a lot!! Operation Wallacea has research locations in Europe, Africa, North America, South America and Asia. Here they carry out projects to improve conservation methods and publish many research papers. Please share my page to anyone you think that may be able to succeed in one way or another! Please also share it with anyone that you think may have an interest in my project or may be interested in the company I am travelling with. I will send a postcard while out in Honduras as a thanks for getting me out there! A small token of my thanks by sending a few photos of my trip over to you, showing what you helped me to achieve. I will send you a personalised video which will take you trough the beautiful Honduras views! Lucky you! I will bring back a souvenir such as a key-ring or fridge magnet. As a thank you I will provide photos, a souvenir from my travels along with an additional token such as chocolates.